Dental picks and related small hand tools are convenient for cleaning, scraping and getting into small spaces. These can be bought at flea markets for about $2 each. Having such an assortment provides the restorer with a number of tools for various tasks. Keeping them in a long narrow box is helpful, but a better way to select the tool you need uses foam cut with slits to hold the tool in the middle. 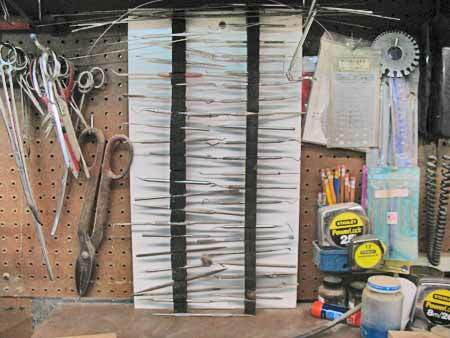 Since most of these small tools have double ends with different shapes, this handy organizer lets you easily select the right one.